Free portfolio manager for mobile phones, provide finantial quotes for stocks, bonds, ETFs, funds and more. Create your personal stock listings and check the updated quotes from your mobile phone. All major world markets are supported. MobFolio is a free portfolio manager for mobile phones. With MobFolio you can create your favorite stock listings and check the updated quotes from your mobile phone. Using MobFolio is really easy: simply create a porfolio and fill it with a list of ticker symbols. Then download the quotes selecting the refresh command, a brief internet connection will be activated and, in a few moments, all the quotes will be updated. MobFolio can also calculate daily gains with totals and subtotals, just add the required additional information like shares, purchase price and commissions. You can enter tickers of stocks, ETFs, indices, funds, futures and more. All major world markets are supported. MobFolio is designed to run on a wide range of mobile phones and is optimized to work even on small display size. 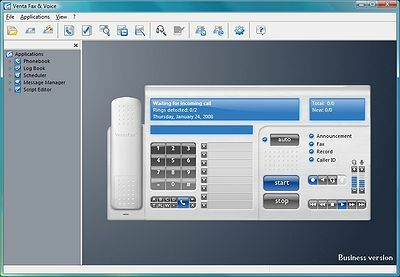 All you need to run MobFolio is a java mobile phone with a standard numeric keypad and an internet connection properly set up. anytime you want and wherever you are. Requirements: A java mobile phone with standard numeric keypad. Catfood Quote - Catfood Quote tracks your stock portfolio from the Windows taskbar - you can see at a glance if your portfolio is up or down for the day. Quotes are pulled from the Amex, LSE, Nasdaq, NYSE and TSE markets.